Home Unlock ZTE How to Unlock ZTE MF79? How to Unlock ZTE MF79? 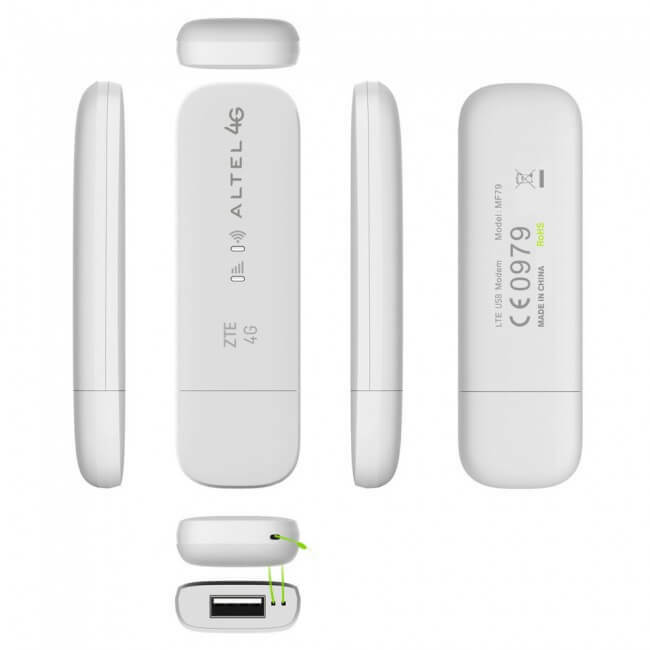 ZTE MF79 is a 4G LTE USB stick that works like a mobile WiFi hotspot. It could provide download speed up to 150Mbps and upload speed up to 50Mbps. Up to 10 wireless devices can be connected to the internet through MF79 WiFI. MF79 features Cat.4 LTE technology. It supports LTE Band 3(1800 MHz)/Band 7(2600 MHz)/Band 28(700MHz). In 3G UMTS mode its download speed is up to 43.2Mbps and upload speed limit is 5.76Mbps. The device measures 101 x 30.5 x 13.5 mm and weight is 32gms. It can be operated over WindowsXP, Vista, Windows 7/8, MAC, and Linux. 2. Connect to Windows PC USB port. 3. Open My Computer >> Virtual CD-ROM and install in PC. 4. Now this modem will automatically open the default page. 5. It will ask you for NCK / SIMlock code. 6. Enter the code here and click OK.
7. Once the code is accepted, the device will be unlocked permanently to use with any carrier SIM card. Note: Factory unlock code of MF79 is not free, you need to pay. While paying mention model with IMEI in the transaction. Correct code will be emailed. Note I: If, the above-mentioned procedure does not work, then before paying let me know via comments. I will check the possibility of unlocking remotely. Previous articleHow to Unlock ZTE MF285?